In the occupied Sevastopol, the Red Book juniper is cut down, the user RoksolanaToday & Crimea reported on Twitter. The trees were cut down on Antichiy Avenue. According to preliminary data, the Red Book juniper is cut down for the construction of a new building. “On the Antichiy Avenue the Red Book juniper was cut down. Well really, how dared it to grow here? Hinders the harbor, smells, turns green," wrote the Twitter user. QHA reported that in the occupied Crimea in the city of Alupka the red book cypresses which were 150 years old were massively cut down for the construction of a private garage. 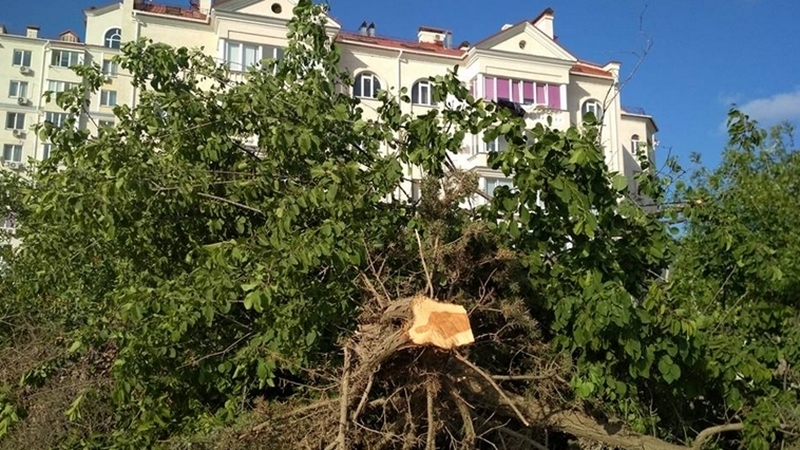 According to the Yalta "laws", developers have the right to cut any tree for construction. The invaders destroyed about two dozen trees.